The '12 Leggy Hawk is a favorite of KU Alumni, he was the one who started it all. Officially licensed by the University of Kansas, this is an exquisite fine art giclée print reproduction of the original painting. This is one of The Original Six collection which was featured by The Kansas City Star, ESPN Kansas City and The University Daily Kansan. Originally imagined in 1912 by a cartoonist for the UDK, The '12 is a long-legged Jayhawk with shoes on (for kicking opponents, of course). 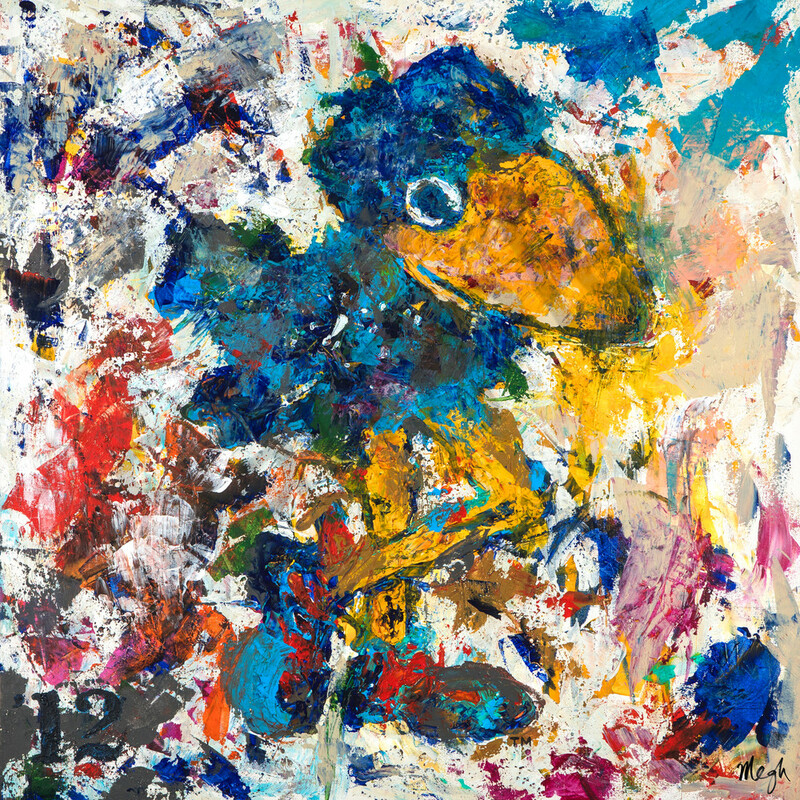 The playful colors in this piece reflect this friendly and first Jayhawk. The '12 year on the bottom left was styled to match the wooden seat numbering at Allen Fieldhouse. The original paintings (which contain real Kansas limestone Rock Chalk mixed into the paint) made history when they sold as a collection for $150K to a couple in Tulsa. In over 30 years I am one of the only artists to be granted licensing by KU, so this artwork is unlike anything else out there.